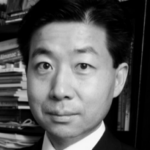 Sung-Yoon Lee is adjunct assistant professor of international politics at the Fletcher School of Law and Diplomacy at Tufts University and an associate in research at the Korea Institute at Harvard University. He earned a Ph.D. in international relations from the Fletcher School, and is a frequent commentator on the BBC and NPR. He has lectured widely, including at the U.S. Department of State and the U.S. Military Academy at West Point. Dr. Lee has written for the Los Angeles Times, Asia Times, The Weekly Standard, The Wall Street Journal Asia, Foreign Affairs, Foreign Policy, and Asian Outlook. The following is adapted from a speech delivered at Hillsdale College on October 5, 2010, during a conference on the Korean War sponsored by the College’s Center for Constructive Alternatives. We are often reminded that the Korean War ended not with a formal peace treaty, but rather with an armistice. And indeed, that is an irrefutable fact. But it is not true that the absence of a formal peace treaty is an impediment to peace in Korea. The signing of such a treaty between the United States and North Korea today would not facilitate, let alone guarantee, genuine peace or denuclearization on the Korean peninsula. To believe that it would can only be the result of a fundamental misreading of the North Korean regime, both in terms of its nature and of its strategic intent. It was on July 27, 1953, that the armistice bringing the Korean War to an end was signed. The war ended without a clear victor and with the Korean peninsula divided more or less along the same lines as at the beginning of the war on June 25, 1950. Despite the lack of a final resolution, the armistice made possible a long peace in Northeast Asia and planted the seeds of South Korea’s freedom and prosperity. In North Korea, on the other hand, July 27 has a different meaning. The date is referred to as the day of “Victory in Fatherland Liberation War,” and Pyongyang commemorates each year “the anniversary of the great victory of the Korean people in the Fatherland Liberation War.” North Korea considers it a reminder of the unfinished business of communizing the entire Korean peninsula—or, in the words of North Korea’s Communist Party Charter, “the accomplishment of the revolutionary goals of national liberation and the people’s democracy on the entire area of the country.” The war may have ended in 1953, but the North Korean revolution rages on. This fact helps explain the fundamental geopolitical dynamic on the peninsula. In this light, consider North Korea’s repeated demand for a peace treaty with the United States. What explains its insistence on signing such a treaty with its “vanquished” foe? The answer is self-evident: to realize its goal of evicting U.S. forces from South Korea. Ever since North Korea joined the World Health Organization in 1973 and opened a diplomatic mission in New York the following year, it has been proposing bilateral peace negotiations with Washington. Of course, this didn’t stop it from sending assassins to kill South Korean President Park Chung Hee or kidnapping South Korean fishermen. Why would a nation that claims to seek peace engage in such war-like activities? The answer is that North Korea is not seeking peace, but rather a change in the military balance of power on the Korean peninsula. In addition, North Korea regularly makes threats against the U.S., its ostensible future partner in peace. Why? Because Pyongyang sees itself as the party wielding the carrots and sticks in order to cajole and coerce its adversaries, Washington and Seoul. In other words, North Korea acts upon its own strategy. It does not merely react to signals coming out of Washington or Seoul, no matter how “diplomatic” they may be. I grant that it is possible a peace treaty might be conducive to reconciliation between the two Koreas and stability in the region; but this will be the case only if it does not lead to calls for the withdrawal of U.S. troops from South Korea. What is more likely is that such a treaty would cause all sides—not only North Koreans, but South Koreans and Americans, too—to question the need for a continued U.S. presence in Korea. And this would in turn advance a top priority of the North Korean state: the complete and irreversible removal of U.S. troops from South Korea. Considering the size of North Korea’s military and its stocks of both conventional and nuclear weapons, the results would likely be disastrous. The presence of U.S. troops in South Korea has been and remains the greatest deterrent to North Korean adventurism and a disruption of the current and longstanding peace on the Korean peninsula. And to repeat an important point: the absence of a formal peace treaty no more threatens this peace than the absence of a post-World War Two peace treaty between Moscow and Tokyo threatens the peace between Russia and Japan. But does Korea even matter, from America’s strategic point of view? Consider the lessons of four other wars in and around Korea in the 60-year period leading up to 1950: the First Sino-Japanese War (1894-95), the First Russo-Japanese War (1904-05), the Second Sino-Japanese War (1937-45), and the Pacific War (1941-45). In each of these, Japan was the principal actor, driven by a desire to change the geopolitical setting in its favor. And taken together, these earlier conflicts powerfully reinforce the lesson of the Korean War itself: a power vacuum in Korea is an invitation to aggression. By defeating China in 1895, Japan won Taiwan as its first colony and effectively ended the centuries-old Chinese world order. By defeating Russia in 1905, Japan won international recognition of its “paramount political, military and economic interests in Korea,” as enshrined in the Treaty of Portsmouth. By 1937, Japan was in full control of its Korean colony and prepared to utilize the Korean peninsula as a supply base and military platform for invading China. Lacking strategic interests in Northeast Asia, the U.S. stood by as Japan gobbled up Korea and advanced into Manchuria. But Japan’s military successes peaked at Pearl Harbor on December 7, 1941, and it was defeated in August 1945. By then, the geopolitical importance of Korea was not lost on the victorious allies, who partitioned the peninsula at the 38th Parallel. The United States, in control of defeated Japan and the southern half of liberated Korea, now emerged as the key shaper of geopolitics in Northeast Asia. But after governing South Korea from 1945 to 1948, and despite lingering misgivings about North Korea’s intentions, the U.S. began to withdraw troops from the South. By the summer of 1949, it had returned to a policy of benign neglect. At this point Kim Il Sung—father of the current North Korean leader, Kim Jong Il—took advantage of the power vacuum and launched an invasion of the South. This attempt to unify the Korean peninsula under communist control was thwarted by a multinational coalition led by the United States, and South Korea was saved. In the 57 years since the armistice, North Korea has time and again shown its willingness to take considerable risks to turn the strategic environment in its favor. The sinking of the Cheonan, a South Korean naval ship, in March of this year, and the bombing of a South Korean island on November 23, are but the latest in a long history of deadly attacks. But today the North Korean regime faces its most serious internal political challenges in nearly 20 years: severe economic stresses, the increasing infiltration of information, higher numbers of its citizens attempting to defect to the South, and the challenge of handing over dynastic power from a long-ruling father to an unproven son in his twenties. This uncertain situation presents a rare opportunity for policymakers in Washington, Seoul, and Tokyo to bring about changes in the North Korean regime and ensure peace and stability in the region. Engaging the North Korean people—rather than the regime—by means of information operations and facilitating defections, while simultaneously constricting Pyongyang’s cash flow, is the best means to that end. It’s also important for Washington to hold quiet consultations with Beijing to prepare jointly for a unified Korea under Seoul’s direction, a new polity that will be free, peaceful, capitalist, pro-U.S. and pro-China. In an Orwellian world, “war is peace, freedom is slavery, and ignorance is strength.” In the North Korean world, the past 57 years of de facto peace is war, a life of servitude to the state is freedom, and national strength is rooted in ignorance of the outside world. Today, as trouble is once again brewing on the Korean peninsula, we would do well to remember the noble resolve of those who fought back the North Korean invasion in 1950-53 and the precious gift they left behind: an extended period of peace and a free and prosperous South Korea. Those courageous soldiers taught us that deterrence is peace, freedom is not free, and that to remember the past is a mark of national character and strength. The great and noble efforts of Americans in the Korean War, the legacy of a 60-year friendship between the U.S. and South Korea, and U.S. strategic interests should not now be sacrificed on the altar of diplomatic peace. Now is rather the time for prudent and pragmatic policymakers to pave the way for a permanent peace on the Korean peninsula, and, in doing so, to pay the greatest honor possible to all those who served in a war—often referred to by historians as “The Forgotten War”—that is decidedly forgotten no more.